Best FOREX Bonus - Compare 100s of Bonuses for 2019 NOW! Home » Trading » Best FOREX Bonus – Compare 100s of Bonuses for 2019 NOW! Best FOREX Bonus – Compare 100s of Bonuses for 2019 NOW! Forex trading is becoming increasingly popular, which means there are plenty of opportunities to take advantage of new Forex bonuses. Due to the huge competition between Forex brokers, bonuses are becoming more and more attractive to traders. This guide will review and compare reputable Forex brokers offering valuable bonuses that will bring the most out of your money. There are various types of bonuses that have different terms & conditions which this guide will help you better understand, meaning you can find out the best bonus for you. 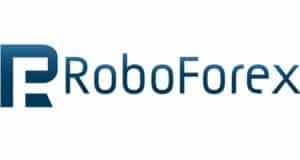 RoboForex offer various bonus schemes, however, the one that looks most attractive is their ‘Classic Bonus’ which allows users to gain up to 115% bonus on their deposit. MetaTrader4 and MetaTrader5-based accounts of Fix and Pro types are eligible for the promotion. It’s a graduated scheme which means that accounts depositing amounts up to $300 receive a 50% bonus, amounts from $300 receive a 100% bonus and amounts from $500 receive a 115% bonus. The maximum bonus however, is capped at $50,000. Terms and conditions must be met before the amount is eligible for withdrawal, which includes making trading volume equal to the bonus sum. Claim your RoboForex Bonus Now! Forex4you allows you to double your first deposit up to 5 bonuses at a time. You are free to choose the bonus level (whichever suits you), but the higher the bonus, the bigger the trading turnover must be in the account. It is also important to keep in mind that the bonus is not credited automatically and you must request it when making the deposit. PAMM investor and Pro STP account holders will not be able to take advantage of this bonus. Claim your Forex4you Bonus Now! Justforex boasts a 150% deposit bonus up to a maximum of $10,000 for single accounts and $20,000 for multiple accounts held by a single trader. The minimum deposit is $50 and traders must mark “get deposit bonus” in the deposit form to qualify for the bonus. Traders are allowed to withdraw profits from the bonus but the maximum time to trade the required volume is 90 calendar days from the moment of depositing the trading account (How to day-trade to fulfill volume). Additionally, this bonus only available for clients operating the Classic and NDD trading accounts. Claim your Justforex Bonus Now! Your first deposit with Xtream Forex will be a 100% tradable bonus. It’s available to new clients or internal transfers to trading accounts of at least $100. Only micro account users qualify and the maximum allowed bonus is $20,0000. The bonus application is not done automatically and the client must email the support team at Xtream Forex with their trading account number, the bonus will then be added within 24 hours. Unless all requirements of the program are met, you can withdraw no more than your original deposit plus profits (or minus losses) at any time. Claim your Xtream Bonus Now! Octa FX are offering a 50% bonus on all deposits over $50 using any payment you prefer (this includes bitcoin, neteller and skrill). The client has a choice to decide the bonus amount, choosing from 10%, 30% or 50%. The chosen bonus amount plays an important role in affecting the trading volume required to activate the credited amounts and transferring them to the credible balance section. Profits can be withdrawn without restrictions, but withdrawing the deposit amounts below the level of the credited amounts cancels out the bonus. The bonus is eligible to trade on different platforms such as MetaTrader4, MetaTrader5 and cTrader. 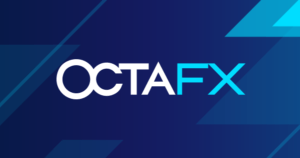 Claim your Octa FX Bonus Now! 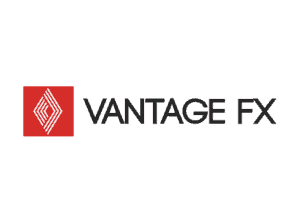 Vantage FX offers various promotions, one being a 50% deposit bonus and the other being trading credit. Clients must make an initial deposit of up to $500 to participate, resulting in a maximum bonus of $250. This bonus is available for both new and existing clients but the offer is only valid for standard and Islamic account holders only. The second is the cash back deposit bonus program that rewards traders with $100 credit trading amount for every $500 deposit made. This offer is open to all Standard STP, Islamic and ECN account holders who have made at least one prior deposit $400 or more. Claim your Vantage FX Bonus Now! For all new clients of HYCM, they are offering a 10% first deposit bonus that is added automatically to your account once you begin trading activities. The minimum deposit is $100 and the maximum bonus awarded under this promotion is $5,000. For every $1,000 bonus awarded, the client will have to trade 30 standard lots within 60 days, otherwise the bonus can be reversed. Claim your HYCM Bonus Now! To qualify for the 40$ bonus offered by Accent Forex you will need to open a Micro, Mini, STP or PROfit trading account. You’ll need to submit an application request to participate in the loyalty program, once that’s submitted the bonus will be received within 24 hours. Make sure not to make any transactions or orders before requesting and receiving your bonus. The withdrawal rules with Accent Forex are different to other brokers as there are no restrictions, however, clients must match deposit amounts with bonus amounts or risk cancellation. The trade volume requirement must be met within 3 months otherwise the credit amount for the amount expires. Claim your Accent Forex Bonus Now! 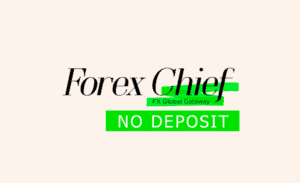 Forex Chief are offering a no deposit bonus of $100 to MT4.DirectFX or MT4.Classic+ accounts. You must then install the welcome bonus mobile app from either the App Store or Google Play and scan the QR code located in the Personal Area. The profit can only be withdrawn after having a trade turnover of $10m USD. The Welcome Bonus has unlimited duration. Claim your Forex Chief Bonus Now! Grand Capital are offering a $500 bonus deposit-free to verified customers (phone number and ID). To receive the bonus the client must submit a request in the Private Office and the bonus is granted automatically, provided all the required conditions are met. In order to activate to the real account, a client should deposit the amount same or higher than the profit on the bonus account. For every $5 of your profit made, you must trade 1 lot – the bonus will last 7 calendar days. Claim your Grand Capital Bonus Now! The reason understanding Forex bonuses can sometimes be confusing is because there isn’t just one type of bonus. A Forex bonus will always be a promotional offer, but not every client may qualify. The bonus offer may only be made available for new clients or traders on a particular account or platform. Some bonuses require you to deposit, others do not – so let’s check them out. This type of bonus is likely the most common Forex promotional offer, usually applying to all customers (new and existing). Put simply, the client is generally rewarded with a percentage bonus of their deposit amount. For example if the broker is offering a 50% bonus and you deposit $500, you would receive an additional $250 on top of your $500, totaling your trading account to $750. A no deposit bonus is targeted at new customers, usually offering the client additional funds to trade with upon their account registration. A huge advantage of this is it enables traders to try and test the platform using real funds, without having to deposit their own money. The catch is you will not be able to withdraw the bonus funds without filling the trade volume requirement first, which can prove difficult for some traders. The welcome bonus can only be redeemed by new customers. This type of bonus is a starting offer with the intention of bringing new clients to the broker. It can be a deposit bonus or a no deposit bonus, depending on the deal the Broker is offering. If you’re an existing customer of the broker then this does not apply to you. Reload bonuses are specifically for existing customers. The advantage of this is the bonus is usually instant (as you are a regular customer) and it gives clients a reward for using the Forex platform. Many brokers require you to fill in a form or send an e-mail before crediting your account with a bonus. Not every broker will have an automated service so be sure to check if you need to provide any details. Do I need to verify my ID to qualify for a bonus? Some brokers will require you to submit your identification documents before crediting you with the bonus. This may also be the case for withdrawing your funds. How do I find out about the best Forex bonuses? Every year we are seeing more and more Forex brokers entering the market. This means competition is increasing, so promotional bonus offers are favouring traders as each broker wants to entice customers. The Internet will have a vast amount of results showing different offers, including websites like ours. Reading customer reviews can also be very helpful as people will share their experiences online with that particular broker. Are Forex bonuses worth it? Firstly it depends on what kind of bonus is being offered. For beginners, no deposit bonuses are usually worthwhile as you can practice FX trading with real money on the platform without having to use any of your own funds. Other brokers require you to trade a number of lots (100,000 units of the base currency in a FX trade) before allowing withdrawal within a certain time-fame – which may not be worth your time. If the broker does not require ID verification then you can usually expect the bonus to be credited within 24 hours. For brokers that need your documents, the whole process could take 48 – 72 hours. Can my bonus be reversed? It is common to see brokers mention time limits in their bonus terms and conditions, more often than not you will be required to trade a certain amount of volume in x amount of days before the bonus disappears. Similarly, if you do not follow the terms and conditions and fail to deposit the sufficient amount or attempt to withdraw before you’re supposed to – this can result in a bonus reversal. Can I transfer my bonus between accounts? You will not be able to transfer your bonuses internally between accounts. The account to initially receive the bonus will have to keep the funds there as a movement of funds will qualify as a withdrawal.